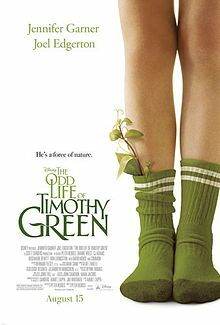 We take on the age-old story of a magical adopted boy with leaf ankles, The Odd Life of Timothy Green. Meanwhile, Elliott dreams of a world where we could make a musical out of leaves, Stuart advises on how we could make Timothy into a cool dude, and we learn of Dan’s latest infirmity. 0:35 – 34:36 – That kid’s really turning over a new leaf. A NEW LEAF. GET IT? Aaaaah, you don’t get it. 54:30 – 1:01:28 – The sad bastards recommend. 1:01:29 – 1:03:00 – Goodbyes, theme, and outtakes. The mentioned picture of April O’Neil, courtesy of Ben Newman. Visit his blog to rethink your position on who’s pervazoid #1. And if you’re curious to see spell-casting Bratz, go HERE. It was an odd (life of timothy green) coincidence that we covered the same ground this week. Goes to show that there’s a limited pool of crazy new movies out there. woo! cheers for the link. When the plot was being summarized I immediately thought of ‘Little Otik’ by Svankmajer. A better version of this story for sure. Btw: Did Anyone suggest Mr. Stitch:Mr. Stitch for the write in movie? Just to add to the cannon of magical being movies that end with the being becoming a US citizen “the cat from outer space”, where, when he raises his right paw to swear the oath, lifts the judge into the air telekinetically. So, yeah, that happened.